Knysna is renowned for its oysters, which are celebrated each year during the Knysna Oyster Festival.The Knysna Oyster Festival attracts around 65,000 visitors each year, among them dozens of food lovers, who come to the festival to slurp their way through platefuls of Crassostrea gigas ,Knysna’s home-grown oyster.They are some of the tastiest on the planet. Oysters taste even better with a glass of wine or bubbly.Oyster festival is all about life ,fun and sports events and also enjoy seafood and wine celebrations.During the festival there are numerous competitions to enter or watch, sport events, including a snowboard competition on a specially set-up snow ramp, and for the little ones include puppet shows, fun workshops. 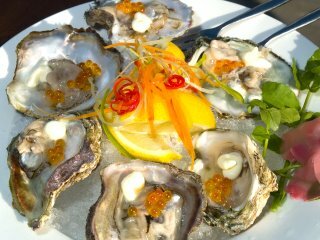 The first Knysna Oyster Festival was held in 1983, on the initiative of a local businessman keen to attract visitors to the Garden Route and one of its favourite resorts in the winter months. The festival is essentially a lifestyle celebration of sport and the good life and has established itself as one of the most popular annual events in the Western Cape. Soft adventure and sports include bowling,golf,canoeing, navigation event. Some tough competitors can enter the drift dive challenge or the forest marathon while the cycle tour is the biggest mountain and biking event in Southafrica. From Arts & Crafts to Sports, Exhibitions, Fun Fairs, Boat Shows,Food and Wine and other entertainment covered many areas from the Old Goal Maritime Museum to the Belvidere Manor House, Thesen’s Jetty, Lorie Park, Waterfront Knysna Quays, the Heads and other locations along the picturesque beauty scenery of Knysna. More than 80 exciting events ranging from super-popular sports events and adventure challenges to wine and whisky tasting and gala evenings, draw a large crowd to the beautiful Garden Route town. 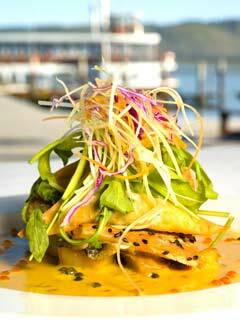 Whether you're sporty , pleasure seeker, adventurous or just plain hungry, Knysna is the place to be in July. Party goers should check out Rockspots, various live music gigs and a variety of entertainment on every day of the festival in July.